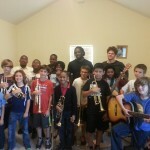 In May 2013, Shamarr Allen began a music clinic out of his mother’s home in the lower 9th ward, as an alternative to the music clinics he once taught for the organization Silence Is Violence. The vision of carrying on the cultures and traditions of New Orleans music became an important goal once he realized that his career would be that of a professional musician. Shamarr’s love and passion of music and his desire to invoke his knowledge on all those who are willing to receive it is immeasurable. As a result of this drive and the willingness to lend his talents and spread his knowledge of the rich musical cultures and traditions that embodies New Orleans, the True Orleans Foundation was formulated. The vision of the True Orleans Foundation is to preserve and restore what’s truly New Orleans. Its mission is to teach, encourage, and support the cultures and traditions of New Orleans through the universal language of music. The True Orleans Foundation currently operates on monetary donations and in-kind donations of goods and services. For information on how to make a donation to the True Orleans Foundation please email trueorleansfoundation@gmail.com with subject line Donations. Teaching all those wanting to learn and apply the cultures and traditions of what is truly New Orleans. Clinics are held every Tuesday from 6:00pm -7:30pm. 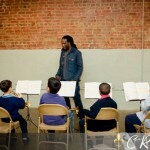 Children are trained on their instrument of choice by a professional musician. Each child is given a music book to practice their learned skills. 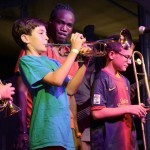 Children will have opportunities to perform in public, as a group.